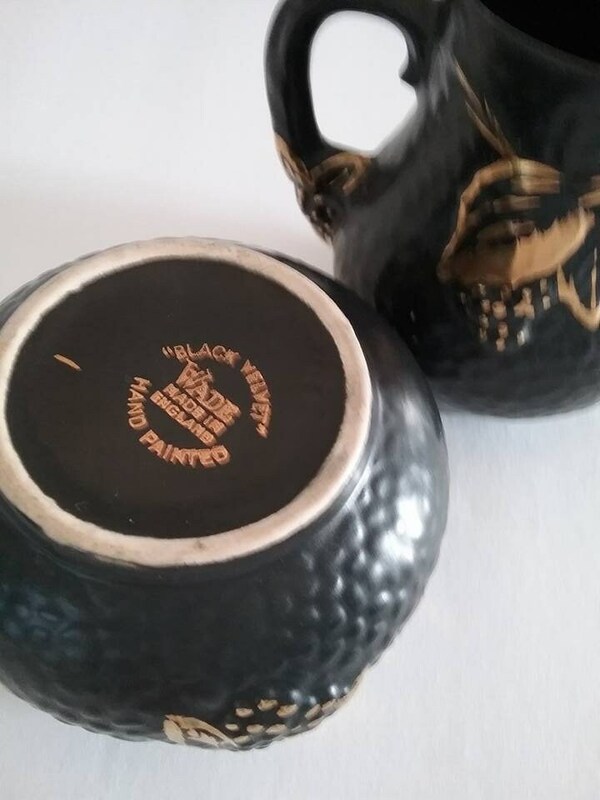 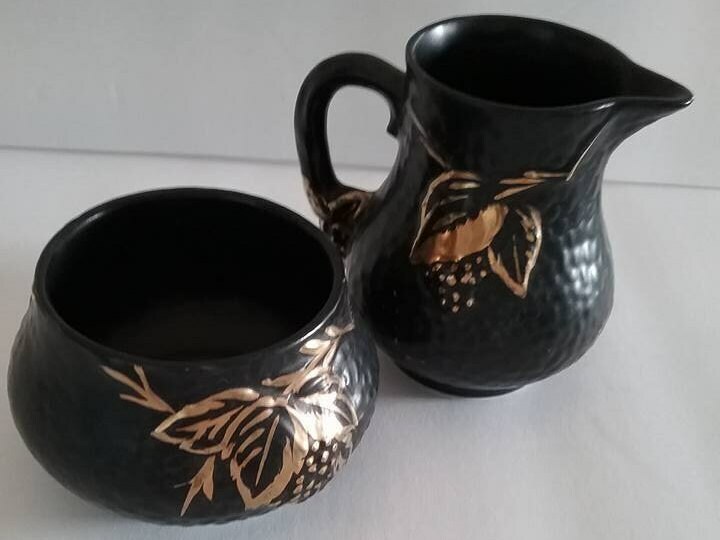 Vintage Wade Cream and Sugar Set, hand painted, Black Velvet and Gold. 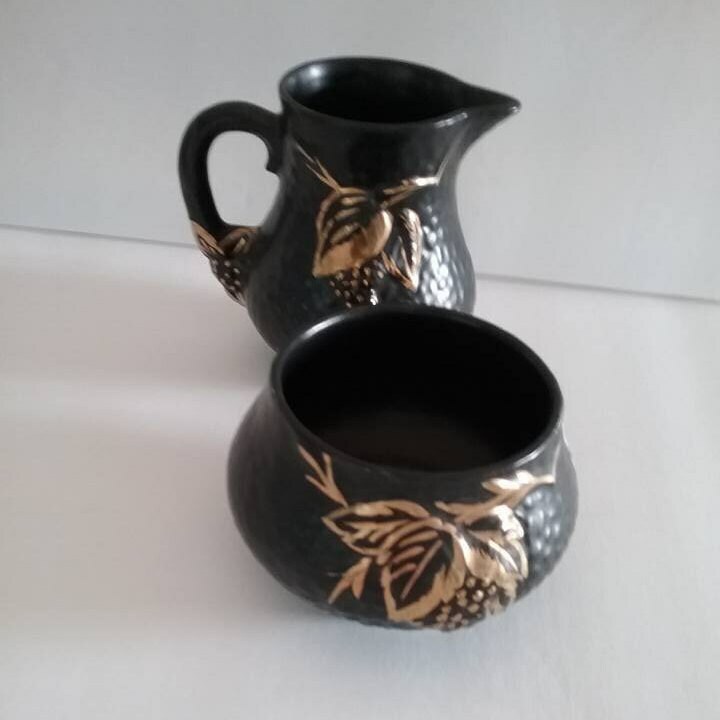 Hand painted golden grapes and leaves on a textured black finish. 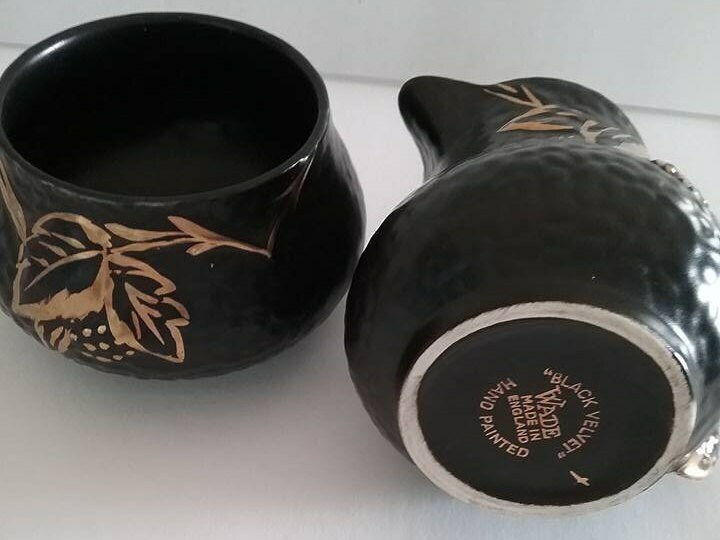 Creamer is 3.5" high, and mouth diameter of 2". 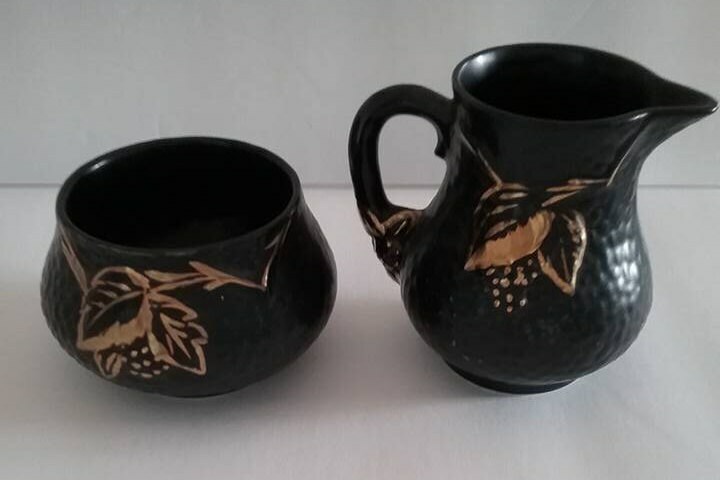 Sugar bowl is 2.5" high and mouth, 2.75" diameter. 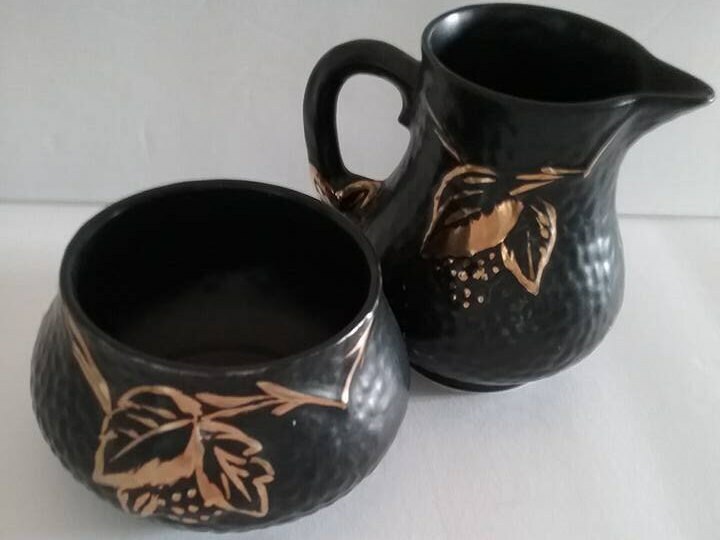 A stunning set which will only enhance the beauty of your dining experience.